PRESS KIT - silkestein's JimdoPage! 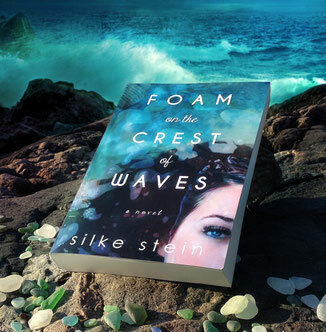 Foam on the Crest of Waves is author Silke Stein’s newest book, weaving a complex tale of love, loss and second chances. 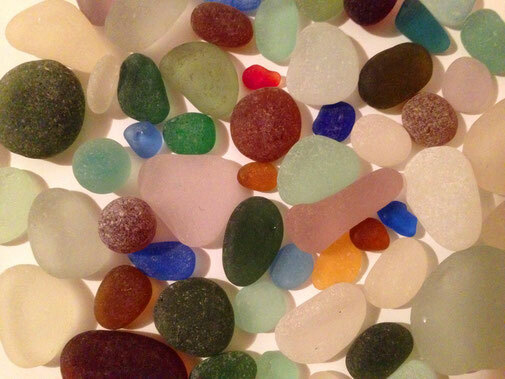 Sea glass — the shiny jewels beachcombers covet, created when discarded glass tumbles for eons in the waves — is key to the tale. 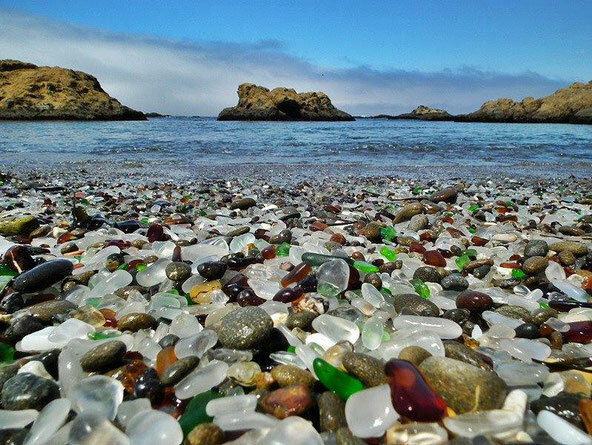 Fabled Glass Beach, arguably the best place in the United States to find sea glass, is the magical backdrop for a troubled young girl who copes with her mother's drowning death by preparing to become a mermaid as in her favorite story, The Little Mermaid. 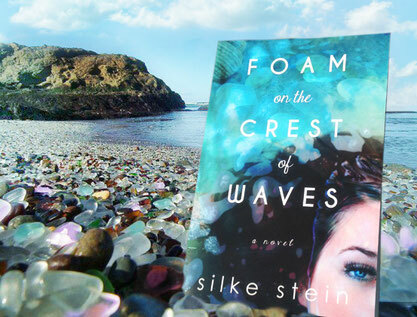 Stein sees sea glass as allegory, “I'm fascinated by sea glass. It provides an intriguing symbolism for inventing stories with its trash-to-treasure, brokenness-to-healing journey." 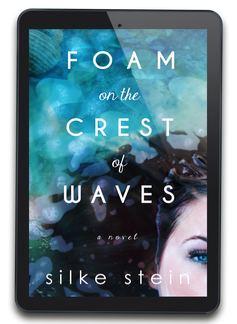 Silke Stein is a graphic designer and writer. She currently lives on the west coast of Canada, where she tends to her ever-growing sea glass collection. 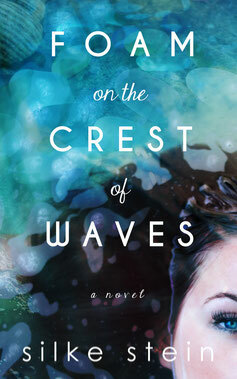 When she is not beachcombing or writing, she designs book covers for fellow authors. 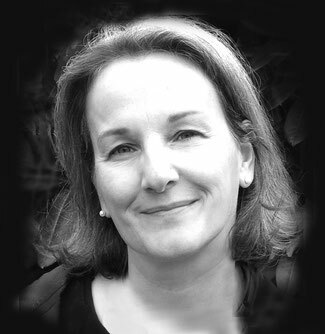 Silke has previously written two middle-grade novels: Trina Bell's Humming Summer and Sleep, Merel, Sleep. The eelgrass sways. Kelp curtains shelter me. I sit among the leafy pillars of the serene temple, looking up at the shimmering roof of azure. Streamers of sunlight dance through the moving water. Floating algae touch my arms like loving sisters. The current’s supple melodies wave by my ears. Down here, we don’t use words. Yet they lie in wait, in the niches of my brain, ready to crawl out and gather, unbidden, unwanted, whenever I try to forget them and become one with the world I love. How can I describe the peace surrounding me with blunt expressions that tarnish its beauty? How can I praise the soothing cool, the colors of the anemones, my finned companions, without employing the only language I know? To think this stretch of the shoreline had been a garbage heap for nearly sixty years in the last century. The Dumps. They finally got cleaned up by the end of the Nineties. The skeletons of old cars and appliances were long gone, everything else washed away ― except for the colorful pebble-sized pieces of glass. These days the beach was a destination, coveted by the visitors, who thought its sparkly covering a commodity. A handful of people dotted the area between the rocky cliffs right now, their searching and shoveling activities suspended as they gazed in awe at the twirling girl. It would make a great closing scene for a tourism commercial. Filmed as an angled view from the cliff or maybe an aerial shot coming in off the ocean: Glass Beach, where mermaids dance. 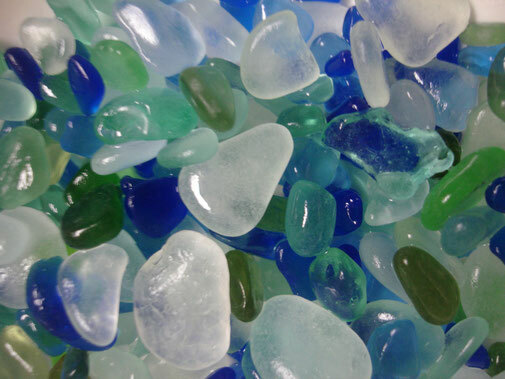 NASGA is a non-profit organization supporting sea glass collectors and the sea glass community with festivals, information, educational opportunities, and more. From 1906 to 1967, everything from cars to batteries to bottles, cans and appliances were unceremoniously pushed over the cliffs into the ocean — a common practice of seaside cities for centuries. 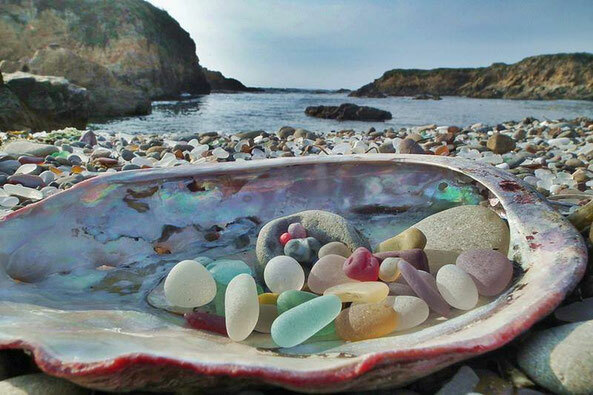 Mother Nature responded to this abuse with a nice surprise in the form of smooth, colored sea glass treasure in a rainbow of colors.